The fundamental mission of SAABP is to educate and promote the health of the public at large, doctors and their staff – and to take a stand with environmentalists and international Biological Health Practitioners, against the use of mercury and fluoride for placement in any form into the human body be it via vaccinations, amalgam restorations or fluoridated water, as well as the consumption of refined sugar and its impact on the immune system and the brain. 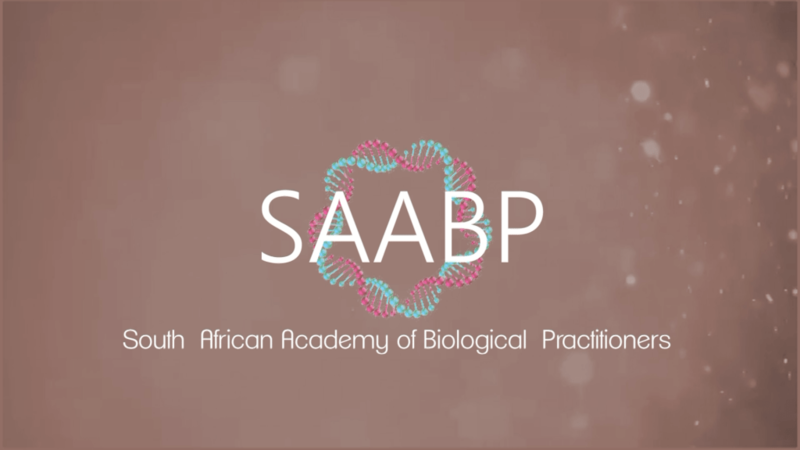 The South African Academy of Biological Practitioners (SAABP) was established by dr Paolo Brogneri and dr Maria Theologides, using the combined functional and biologic approach, with a deep desire to make a difference through education and public awareness. Together they have joined forces with both local and international experts to create online modules, share research and take a stand on health and environmental issues. We are witnessing a dramatic rise in lifestyle and environmentally related diseases from cancer (especially in organs previously not affected and in children); Alzheimer’s and dementia; AUTISM, ADD and ADHD; diabetes; anxiety and depression – to mention just a few. We are also seeing a serious rise in the environment of neuro-toxic chemicals and heavy metals. The resultant accumulation of heavy metals in the human body poses significant health risks. Fluoridated water, sweetened and preserved foods with increasing chemical additives, consumption of GMO products, pesticides and environmental toxins are all adding to the toxic load and increase in chronic diseased states. With all these health and environmental concerns in mind, the South African Academy of Biological Practitioners was born. Our goal is to amalgamate scientific cutting edge research, with ancient principles of detoxification and healing – bringing together of biological dentists and integrated medical practitioners who understand and are knowledgeable on the role of detoxification and lifestyle health coaching – together we can help empower parents and their children through knowledge and their active role in creating sustained health. Provide ADVISORY SERVICES if/when required to the public and to dentist and their staff. SAABP is proud to offer a range of on-line courses for both the public/our patients, interested in attaining knowledge and transforming their health, as well as on-line training for medical and dental professionals pursuing advanced training in functional and biological principles. For dental practitioners wanting to convert their practices to biological studios, we offer full training in the safe removal of amalgam from the mouth; it’s safe and environmental disposal from the practice and the detoxification required to safely and effectively remove it from the body. Practitioners completing the on-line Edu-series achieve Accreditation and are recognized for their completion of this training on the SAABP’s Dentist/Doctor Directory so that patients opting to find a dentist/doctor knowledgeable about mercury and its safe removal, fluoride, biological periodontal therapy, functional root canal treatment, as well as heavy metal detox and nutritional and lifestyle coaching- can do so. We are dedicated to education of the public of the latest scientific research and breakthroughs in each of our fields. South Africa signing the Minamata Treaty creates even greater urgency to educate dentists and medical practitioners about our role in this treaty and provide the necessary training and equipment for safe mercury removal and disposal. Public knowledge of this treaty is part of our mission, and as the public becomes more informed, so too will pressure mount that dentists be ready to deal with the changes required. SAABP has these protocols and the knowledge at hand to help all practitioners attain the necessary knowledge and skills. In addition, SAABP has created SMART dental kits, heavy metal air purifiers and detox kits for dentists to obtain all the necessary gear required to protect themselves and their patients from mercury toxicity and facilitate its safe removal from the body. There can no longer be excuses for the placement or unsafe removal of amalgam; or its impact on our environment – SAABP provides all the necessary tools to facilitate an effortless transition into safer biological practices which will leave a legacy rather than toxicity as their mark. 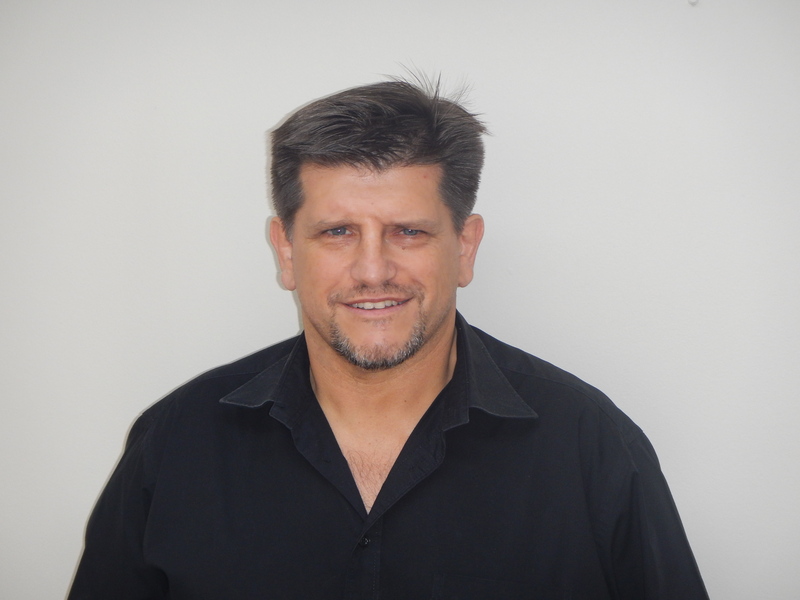 After graduation from the University of Stellenbosch in 1987, Dr Brogneri gained extensive experience in practices in Cape Town before gaining valuable experience in a practice in Rome whilst playing professional Rugby for Rome. In 1993 he established a practice in Camps Bay. He is a multi-disciplinary biological dentist who practices safe mercury removal according to the IAOMT SMART recommendations. His special interests include preventative, restorative and reconstructive dentistry. His specialties include aesthetic dental make-overs which encapsulate all aspects of cosmetic dentistry: porcelain crowns and bridges, veneers, inlays, natural tooth colored metal-free fillings, surgical dentistry, including implants and bone and tissue grafting, a range of removable and implant supported denture options as well orthodontics including both fixed orthodontics using the Damon system and removable orthodontics using clear aligner systems. Advanced periodontal, maxillo-facial and implant cases are treated in conjunction with leading Cape Town periodontists and maxillo-facial surgeons. He regularly attends courses and lectures to stay abreast of the latest products, techniques and cutting edge technological advances. He is a member of IAOMT,HPCSA, SADA, SAAO. He is also a co-founder of h.u.m.a.n. Tapping into a skills base that covers a number of specialists fields when turning a patients mouth and by extension their smile and their life around giving them renewed confidence, is the most rewarding aspect of his work as a dentist. He prides himself in providing first-world dentistry using cutting edge technology and equipment amidst a friendly and caring environment. He strives to make a difference in people’s lives though the type and quality of dentistry he does and the manner in which he provides that service. He enjoys the artistry in dentistry but this is a drop in the ocean when compared to the relationships he builds as a team with his patients. His practice was the first in South Africa to introduce Ozone as a treatment modality and is pioneering safe amalgam removal and biological dentistry. He is the founder of SAABP (South African Academy of Biological Practitioners): an association of like-minded dentists and functional medicine practitioners who are devoted to mercury free dentistry and medicine – and helping patients safely remove mercury not only from their teeth but from their bodies. She is the only practising Paediatric Specialist in the Western Cape and also runs a Functional Integrative Medicine Practice and is a Life and Health Coach. After graduation from the University of the Witwatersrand in 1994, Dr Theologides gained experience in Johannesburg before relocating to Cape Town at the end of 1995. In 1996 she was offered a lecturing post at the University of Stellenbosch while specialising in Paediatrics, a 4 year degree, completed in 3 years. She has a Masters in Anaesthetics and Sedation in Children. She is the only practicing specialised Paediatric dentist in the Western Cape. She joined Camps Bay Dental Studio, where she has been exclusively since 2001.
but also integrates this approach into her interactions with her patients for a holistic methodology to healing and health. She has assisted many patients suffering from depression, anxieties, addictions, acute and chronic health conditions to attain physical, mental, emotional and spiritual balance both within their bodies and lives – freeing them to finally materialise their dreams. She had an Inspiration column and then a Philosophy column in the Chronicle newspaper and then in the Bay Magazine from 2001-2015. Having studied both within the dental and medical fields she recognised a big chasm between not only these two disciplines but also within the specialities of western medicine. Her dream has been to move away from the fragmented approach of modern western medicine and to return to a holistic approach where specialists who have mastered their fields are brought together to work as a team for the patient’s wellbeing. This was the basis for the establishment of h.u.m.a.n. – her goal: to change the face of Western medicine and dentistry and so to re-inspire an ethos of caring and hope. In 2001, the Governing Council of the United Nations Environment Programme1 (UNEP) invited the Executive Director of UNEP to undertake a global assessment of mercury and its compounds, including information on the chemistry and health effects, sources, long-range transport, and prevention and control technologies relating to mercury. In 2003, the Governing Council considered this assessment and found that there was sufficient evidence of significant global adverse impacts from mercury and its compounds to warrant further international action to reduce the risks to human health and the environment from the release of mercury and its compounds to the environment. Governments were urged to adopt goals for the reduction of mercury emissions and releases and UNEP initiated technical assistance and capacity building activities to meet these goals. The Minimata Convention is a global treaty which aims at protecting human health & the environment from anthropogenic emissions, releases of mercury and mercury compounds and the adverse effects thereof. The Convention draws attention to a global metal that is naturally occurring and has broad uses in everyday objects and is released to the atmosphere, soil and water from a variety of sources. Controlling the anthropogenic releases of mercury throughout its lifecycle has been a key factor in shaping the obligations of the signatories under the Convention. The Minamata Convention is the first new global Convention on environment and health adopted for close to a decade. WHO considers mercury as one of the top ten chemicals of major health concern, which threatens the environment and health of millions. Mercury is known to be one of the most toxic substances on the planet more toxic than arsenic, lead and cadmium. Erik Solheim, Head of UN Environment says there are alternatives to almost all of mercury’s current applications, such as newer, safer industrial processes and that all countries can play a role – as well as all of its citizens just by changing what we use and buy. The UN Environment Global Mercury Partnership consists of stakeholders from governments, industry, NGOs, and academia who are dedicated to protecting human health and the environment from the impacts of mercury, and to reducing global environmental releases of mercury. It was initiated in 2005 by a decision of the UN Environment Governing Council, the Partnership played an important role in catalyzing global action on mercury and offering information, capacity-building, and awareness-raising in support of international negotiations to establish a legally-binding instrument on mercury. The work to prepare the Minamata Convention on Mercury was undertaken by the Chemicals Branch of the UNEP Division of Technology, Industry and Economics who supported an intergovernmental negotiating committee. The mandate was to complete the negotiations before the twenty-seventh regular session of the Governing Council/Global Ministerial Environment Forum in 2013. This mandate has been met. the regulation of the informal sector of artisanal and small-scale gold mining. The Convention also addresses interim storage of mercury and its disposal once it becomes waste, sites contaminated by mercury as well as health issues. On the 10/10/2013 South Africa signed the Minamata Treaty. We are one of the now 128 signatories as at 18/5/17 when the required 50th of the countries ratified (55 countries as at 18/5/17) the treaty which means that on 16/8/17, 3 months after this required milestone was achieved the Minamata Convention on mercury entered into force and is part of international law and will be legally binding for all its signatories. there will no longer be excuses to placing amalgam in patients’ mouths, - SAABP teaches about safe biological financially viable alternatives. they will need to be trained on the safe removal of amalgam from patients mouths – SAABP has established protocols, on-line video training and hands on modules, plus created the necessary kits to aid dentists into changing their practices to biological studios effortlessly. on how to protect themselves and their patients – using international protocols and requirements, SAABP has stream-lined the process by creating easy to follow protocols and ready to use packs, making transition for dentists easier. The public will be made aware of the Treaty and their rights as patients and as humans living in a signatory country via education through environmental journalists and health practitioners, radio and tv – all of which have been put in place by SAABP – this will put pressure on the dentists to commit to these changes – ensuring that they are ready, is part of SAABP’s mission. our children and our environment. Accreditation by the SAABP certifies to the professional community and the general public that you have been trained and tested in the comprehensive application of biological dentistry, integrative principles of health; detoxification and healing - including current methods for safe removal of dental amalgam; its biological alternatives and the intricate link between systemic, gut and oral health. SAABP accreditation establishes you at the forefront of biological dentistry and demonstrates your commitment to furthering your knowledge of the oral health’s indisputable role in general health. The South African Academy of Biological Practitioners (SAABP) is proud to be the African Continent Representative and Ambassadors of the International Academy of Oral Medicine and Toxicology (IAOMT) ,a global network of dentists, health professionals, and scientists who research the biocompatibility of dental products, including the risks of mercury fillings, fluoride, root canals and jawbone osteonecrosis. They are a non-profit organization and have been dedicated to their mission of protecting public health and the environment since they were founded in 1984. The work of IAOMT and its international representatives is crucial because there is an alarming lack of professional , policy maker, and public awareness about dangerous dental products that are harming humans and the environment on a massive scale. To help change this dire situation, IAOMT members have been expert witnesses about dental products and practices before the US Congress, the US Food & Administration (FDA), Health Canada, the Philippines Department of Health, the European Commission Scientific Committee on Emerging and Newly Identified Health Risks, and other government bodies around the globe. Additionally, the IAOMT is an accredited member of the United Nations Environment Programme (UNEP)’s Global Mercury Partnership and was involved in the negotiations leading to UNEP’s Minamata Convention on Mercury. Three decades later, the International Academy of Oral Medicine and Toxicology has grown to over a thousand active members in North America, with affiliated Chapters in fourteen other countries, SAABP being the South African representative. The years have been very fruitful, as the Academy and its members have chronicled and promoted the research that has proven beyond a reasonable doubt that dental amalgam is a source of significant mercury exposure and a hazard to health. IAOMT are a trusted academy of allied professionals providing scientific resources to support new levels of integrity and safety in healthcare.